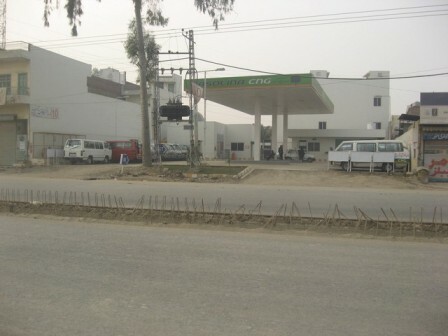 Compressed Natural Gas ( CNG) filling station has been setup at Multan Road, Lahore. 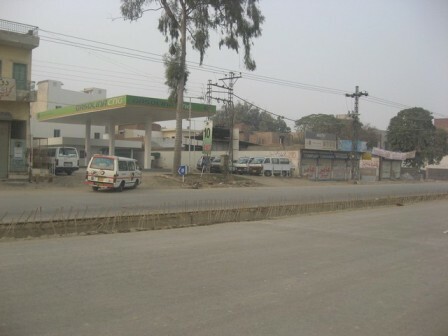 The filling station has been designed in a way to cater to addition of Petrol and Diesel, as well, in near future. 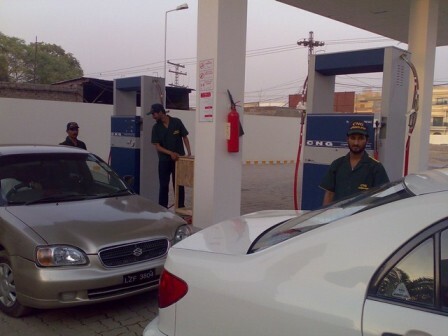 CNG part of the station became operational on 6th May, 2010 and was inaugurated by our father and chairman, M. Jamil Choudri. 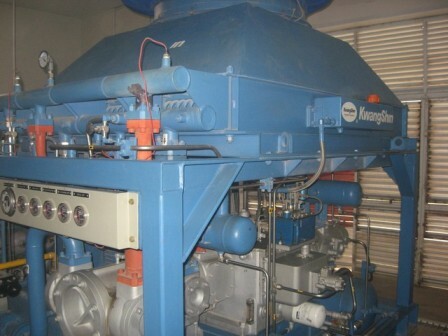 GASOLINA CNG station comprises of an air-cooled compressor of 480 cubic meters capacity by Kwangshin, Korea. 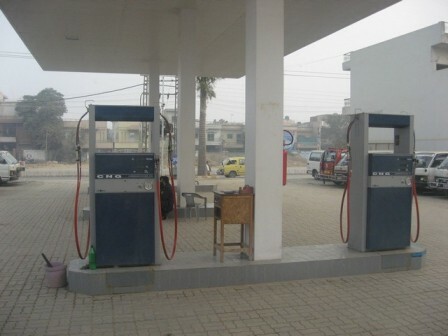 For gas filling into vehicles two (2) high speed dispensers from Kraus Global, Canada, have been installed. 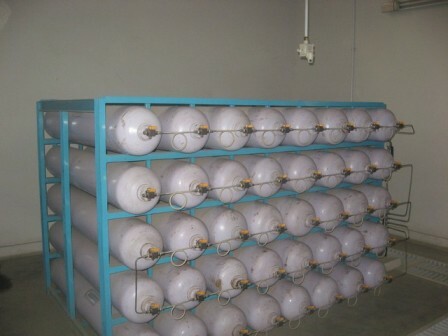 CNG station has gas storage capacity of 3,200 WL through Maruti Cylinders. In near future, this capacity would be enhance to 8,000 WL.